2 Bedroom Semi Detached House For Sale in Middlesbrough for Offers in the region of £75,000. 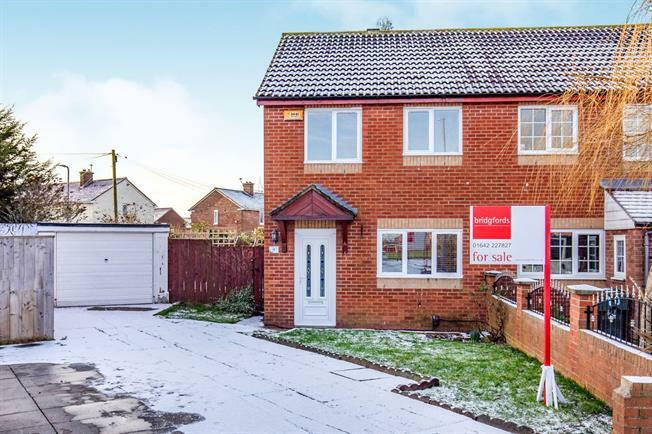 Sold with no onward chain this beautiful family home is situated in a private and quiet cul-de-sac and is fantastic value for money. This two bedroom home is deceptively spacious and is decorated in neutral modern tones. The kitchen is finished in modern fitted units and the large lounge area has French doors leading to the rear allowing natural light to shine through the home. The first floor has two spacious bedrooms and a lovely family bathroom suite. Externally the property has generous gardens complimented by a driveway and detached garage.